Press Release: Illinois Department of Employment Security strengthening enforcement to better connect job seekers and employers. 1. 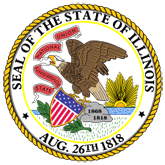 State Reminding Jobseekers to Register for Employment Service, Provide Resume for New Unemployment Insurance Claims Filed on or after July 17 (16-0511-IDES_Employment_Service_Release.pdf).